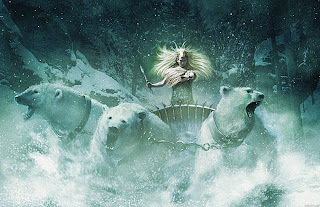 It appears Michael Apted(Coal Miner's Daughter, Gorillas in the Mist, Gorky Park) has been named the director the the 3rd Chronicles of Narnia film, The Voyage of the Dawn Treader. Apted is a very good, accomplished director whose most recent film, Amazing Grace was quite good indeed. I like him as the choice. He's a talented director who is capable of creating compelling drama and character. Just don't have him direct anymore Bond films. The World Is Not Enough was enough... of his version of Agent 007.